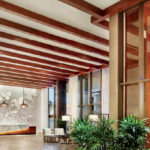 Nan, Inc. donates $100,000 for outreach program in Cambodia | | Nan, Inc.
For the past 10 years, Nan, Inc. has worked with the Rotary Club of Honolulu to reach out to those in need in the Philippines. Through Nan Inc’s generous donations and volunteer work, Nan Inc has provided new classrooms, facilities, and education where there was none. 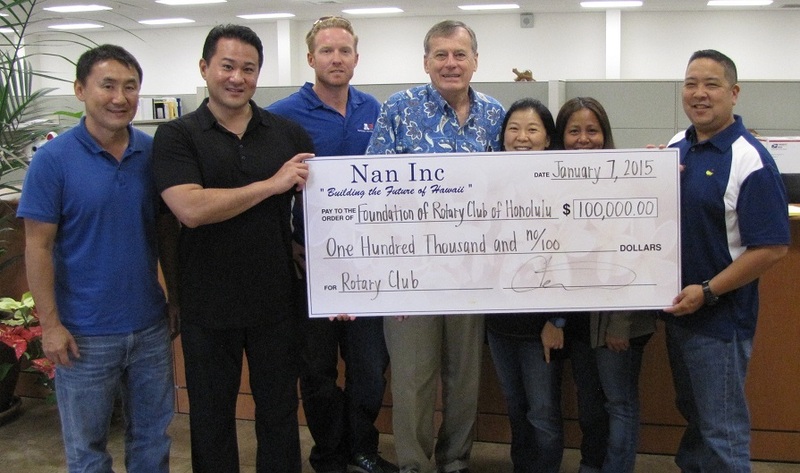 Continuing with that tradition, Nan, Inc. is proud to donate $100,000 to the Foundation of Rotary Club of Honolulu on its latest project in Cambodia. 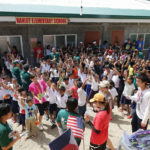 Nan, Inc. will also send volunteers over to assist the Rotary Club in the building of a classroom and housing facilities in a remote area of the country. The volunteers travelling there will also get a chance to work with and interact with the students and teachers of that community, offering assistance and aid in their education and curriculum. Through Nan Inc’s generous donations and volunteer work, they have provided much needed humanitarian services, which have included educational opportunities through new facilities and classrooms where there was none. 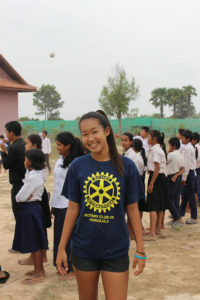 “During the Spring Break of 2015, on behalf of my father as well as the Rotary Club, my sister and I got to travel to Cambodia and experience a trip like no other. The main mission of this trip was to provide hands in the building of a new segment at Bayon Middle School, a school located in the midst of Siem Reap, a city widely known for the great temples of Angkor Wat. With the 100,000 dollars donated by Nan Inc., about fifty of us aided in building walls and a strong foundation for the soon to become dormitory that would house many of the teachers at the school. Part of the money also went towards building more clasrooms to expand the school’s outreach in providing education for the youth in the rural areas of Siem Reap. The students at Bayon Middle School were about the same age as I was, and I got to know some of them on a pretty friendly basis! Hearing some of their stories really opened my eyes to a lifestyle that I never really understood, a lifestyle so distant from my own life today. You often hear stories about this life from others, a life of hardship and struggle, and you read it in magazines, but when you see it and experience it for yourself, it really does change the way you look at things in life, and it makes you grateful for the little things that you are blessed with. There was a boy named Tsumi, about the same age as I was, dark-skinned, skinny, and extremely kind-hearted. Everyday after school he took time out of his day to help volunteer with some of the construction work, whether it was carrying heavy barrels of bricks, or shoveling cement. Strong and hard working, he always smiled and exuded happiness, even when the work got really hard! When I got the chance to talk to him, he told me that his mother died recently and his father lost his limbs from a land mine that was hidden in an open field at his work. He lived in a small hut with four other siblings, with no electricity, running water, or the necessities that we take for granted in our comfortable lives. As I walked down the streets of the neighborhood where he and some of his friends lived, I was astounded to see families living in mud shacks with little to nothing. Washing their clothes in puddles of dirty water and seeing the little ones scurry about, skinny, with no clothes on, it hurt my heart. This was their reality. A reality where life’s problems consisted of getting food on the plate, or making sure everyone had clothes. A reality where children didn’t go to school because they were forced to beg for money to keep their families alive. A reality so different from our reality that it kills you to realize that it is even happening. Similar to the people in Cambodia, my father lived a harsh life in Korea as a child. His family of ten was extremely poor and he grew up living in a small mud shack, just like the families I got to see in Cambodia. On the last day of work, I watched as my father handed a hundred dollars to each of the construction workers, something he typically does when he visits places like this; a hundred U.S. dollars is equivalent to about a month’s salary for a typical worker in Cambodia. Seeing each of their faces light up with gratitude and shock was one of the greatest moments during our trip. This money meant so much to them, and it made me happy that we could give back to people who needed it more than we did.